Authorities have determined that Wednesday's dorm fire on the University of Nebraska: Omaha campus was started by a discarded cigarette. Smoking is not allowed within ten feet of the building. 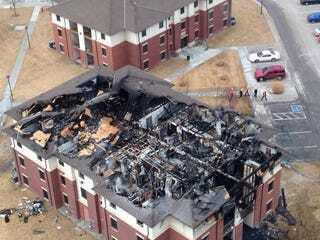 Many students have lost belongings and all fifty residents have been displaced. There were no injuries and no criminal charges are expected.